The Eco Slate tile is a 100% recycled and recyclable self-bonding roof slate, suitable for low pitched roofs - uniquely as low as 10 degrees. 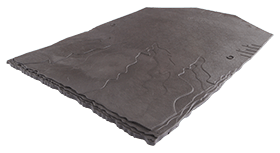 The Eco Slate tile is a 100% recycled and recyclable self-bonding roof slate. Eco Slate tiles are easily installed and suitable for low pitched roofs - uniquely as low as 10 degrees, they also come with a 50 year guarantee. Unlike traditional slate tiles, however, the Eco Slate tiles will not suffer from cracks and chips but still provide the same stylish finish throughout its life. 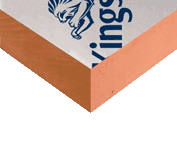 The installation process is very simple as the slates are fitted straight onto plyboard or oriented strand board (OSB), no roof battens are required, a standard breathable underlay and then nailed down in two places using the relevant size copper, stainless steel or hot-dipped galvanised nails: it’s that easy. A guide is downloadable below.